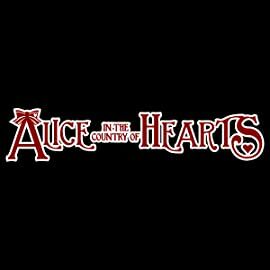 After being swept down a gaping hole in her garden, Alice Liddell finds herself in the Country of Hearts, an "outsider" among the land's peculiar inhabitants. Taking up residence at Hatter Mansion, Alice occasionally forgets that her host, Blood, is the head of the Mafia. But she is quickly reminded of that fact by Blood's violence toward his most loyal follower, the March Hare. Elliott has never known the care and attention Alice shows him, and her ways are as fascinating to him as his rabbit ears are to her. But can love truly blossom between two who are so different? 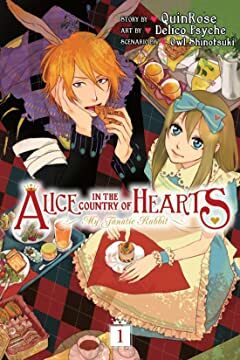 One day, a mysterious rabbit-eared man named Peter suddenly appears in Alice's garden and kidnaps her, whisking her off to a dangerous world where every resident brandishes a weapon. 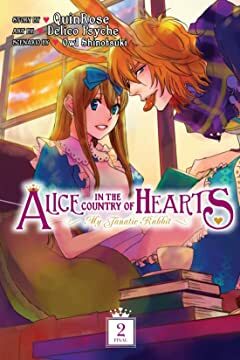 Trapped in this land in the midst of a three-way power struggle, Alice accepts an offer to stay at the Hatter's mansion. At the mansion, Alice meets the Hatter's right-hand man, Elliot March, who is likable and charming and...also sports a pair of bunny ears! And yet, Alice cannot get over the fact that Elliot is actually a Mafia hitman, willing to kill people without hesitation...In this popular Wonderland manga, the March Hare has finally arrived! !